That little phrase has taken on real meaning for us as we settle into new traditions for our family. We do indeed travel over the river (several times), through the woods (several times), in addition to over an ocean, a slough and at least two islands to get to and from our Christmas celebrations. As we did last year, Ben & Abby and girls traveled up to our house for Christmas Eve. We had a great time opening our presents followed by a fine ham dinner. 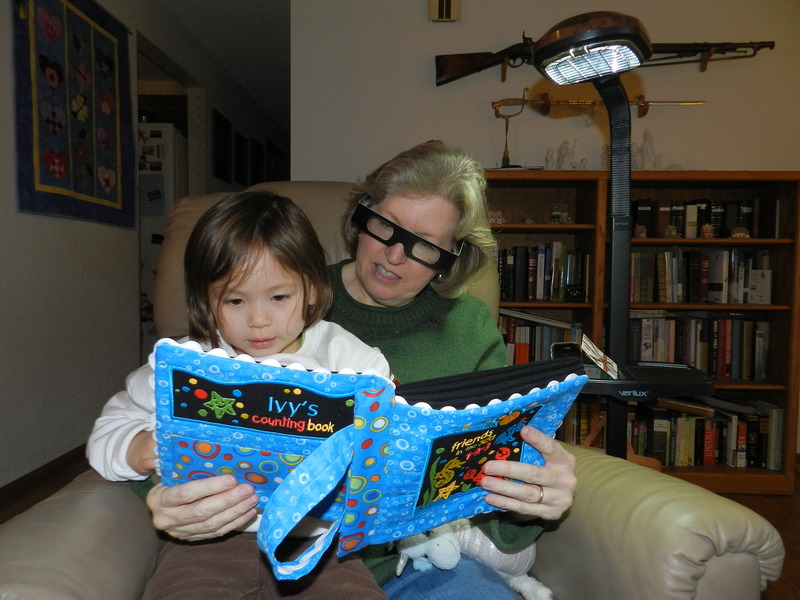 As is our tradition, we read the Christmas story before opening our presents. Last year Isobel read from a story book. This year she read directly from the Bible. She did a great job, but she did have some trouble with all the big words, so next year we might seek out a more age appropriate translation. 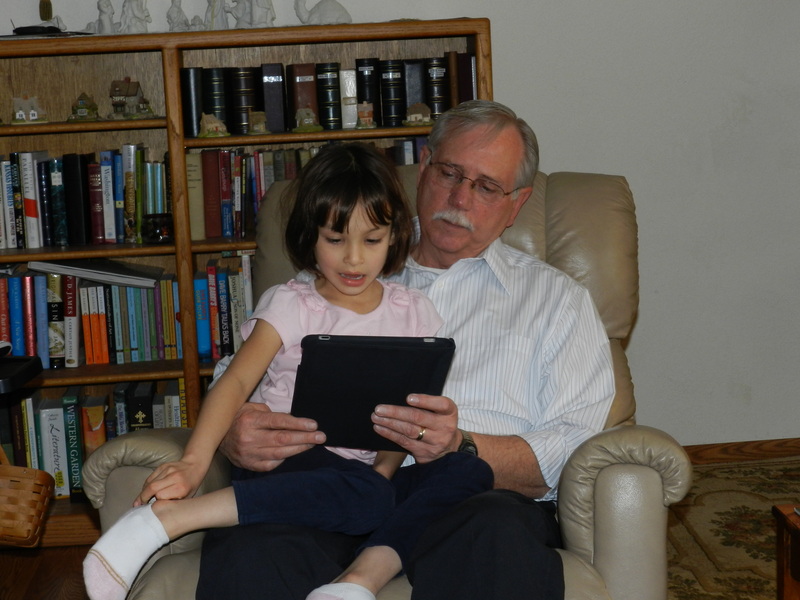 The tradition was brought into the modern age by having her read it on an iPad! On Christmas Day we made the trek to their house. 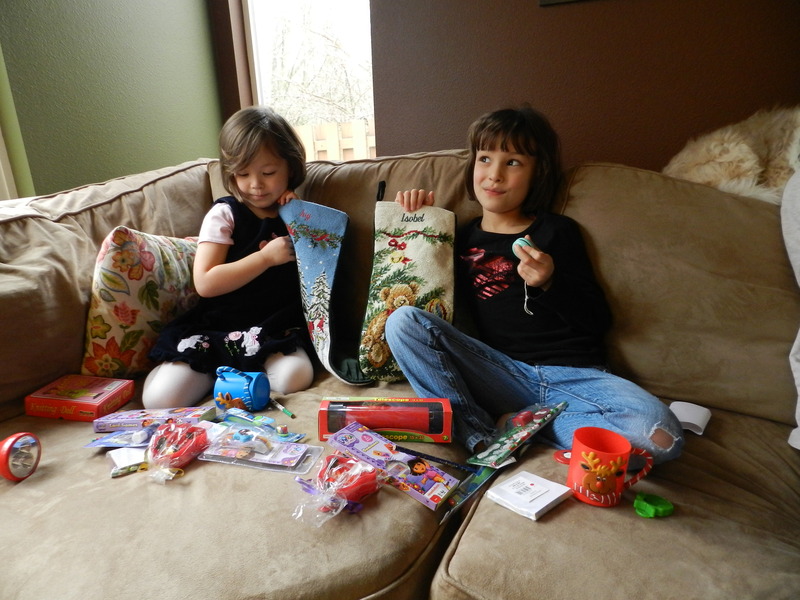 We opened our stockings, which the girls found almost as much fun as presents. They're usually filled with funny little gifts and, of course, chocolate! The adults found theirs filled with an assortment of little bottles of spirits! Unfortunately, we left the festivities a little early because hubby was coming down with a cold. He's felt pretty crummy for the past few days and I'm hoping not to come down with it. 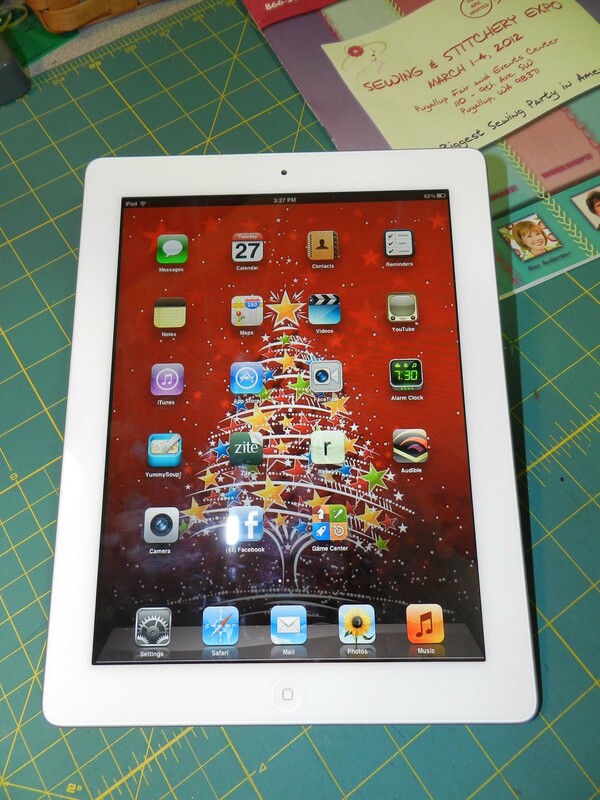 Post Christmas has found me playing with the new toy hubby got me – my own iPad! This was really a surprise because he wasn't supposed to get me anything beyond a token gift. I had a fancy new radio put into my car and that was to be my Christmas/Birthday present. Of course, it probably was a little bit of self preservation because I had been hogging our mutual iPad since I downloaded KnitCompanion. Nevertheless, it was an outstanding gift and I have been enjoying it immensely. In fact, I'm finding that now that I have unfettered access to it, I'm using it a lot more than my computer. Of course, I still need my computer for scrapbooking and photo editing, and for any lengthy typing. I can also now post pictures of some stealth projects. First off – Abby's socks. I did gift these to her for Christmas, but I also owe her some birthday socks for her birthday in November. 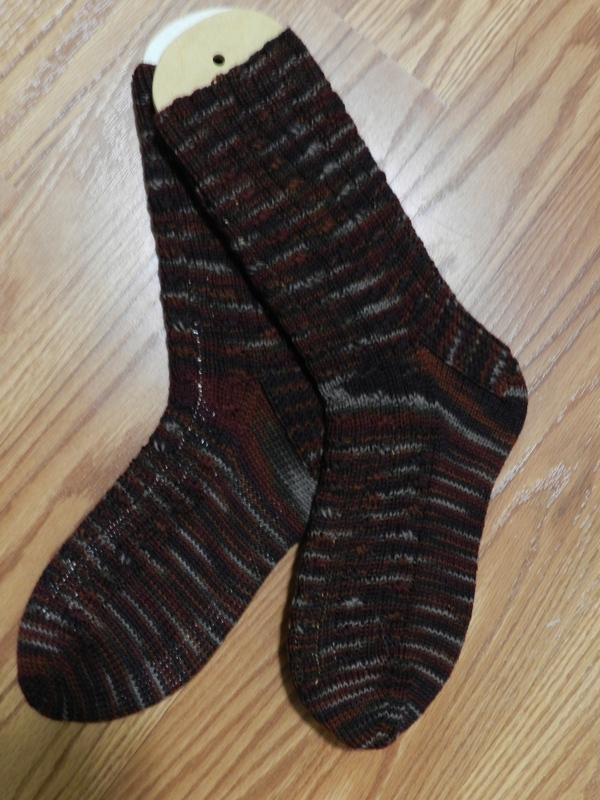 These are More Fun than Cables, courtesy of Marguerite, yarn is Cascade Heritage Hand Paint. Sorry for the crummy picture, but we have entered the gloomy days of the year when the sun is nowhere to be seen. So my pictures will either be dark, or washed out by the flash. Ben also got a bag of Nature Spun sport yarn for a sweater of his choice – yet to be determined. That will definitely keep me in projects for the rest of the year!! Add to that the fact that our knitting group is embarking on a sweater project and I got a gift certificate for Knit Picks. I'd better quit playing with my iPad and get to knitting. So glad I have KnitCompanion to keep all my projects organized! Happy New Year to everyone. I hope the year holds joy and blessings for you all. This was a Mystery KAL and was great fun. Susan is a terribly gifted designer and I love the way the patterns just flow into each other. 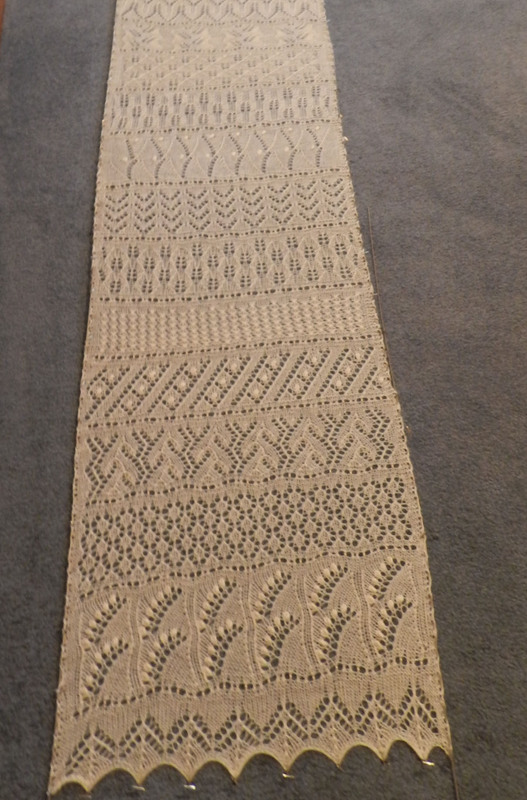 This was a pretty intensive knit with almost 3,000 beads. It's rather heavy, but I love the way the beads feel and it won't be the last beaded project I do. This scarf was rescued from hibernation by my acquisition of the Knitting Companion app for my iPad. I honestly do not think I would have finished it any time soon otherwise. It's too bad that it's so long that you really can't get a good look at all the patterns. I was a little worried about it being too long, but I really wanted to do all of the patterns. 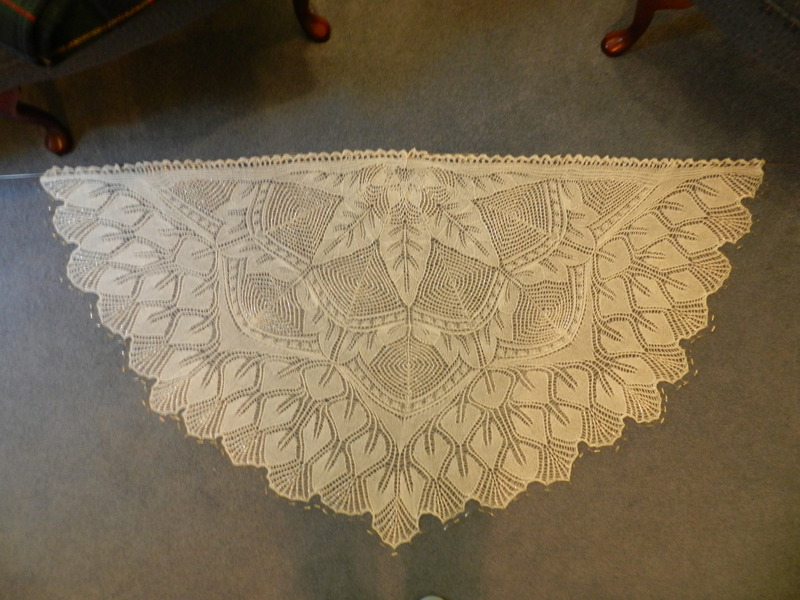 Although long, I don't think it's too long and it's such a beautiful sampler of lace patterns. Although you can't see it in the photo, there are little pearl beads on the separator sections. Lace knitting is always an exercise in faith because you really can't see the patterns very well while you're knitting it and the true beauty doesn't come out until it's blocked. Multiply this times 24! 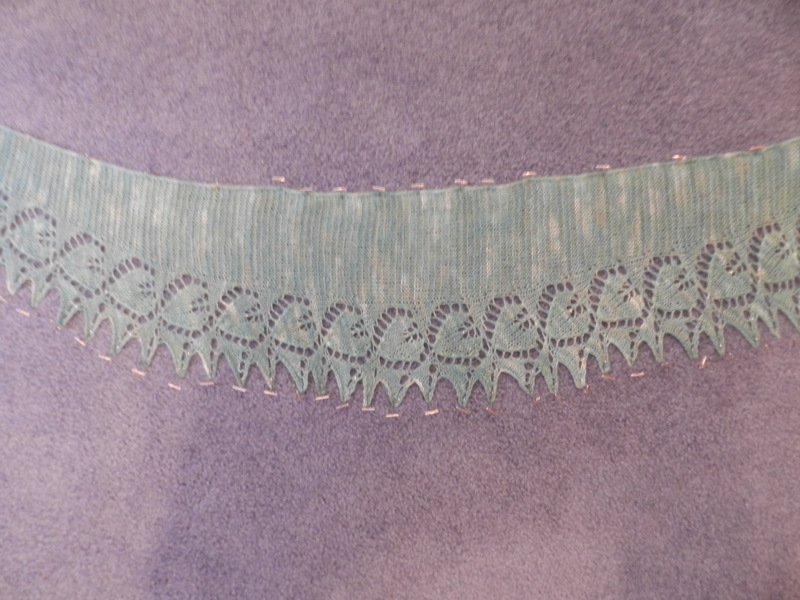 It was so much fun seeing the beautiful lace patterns appear. This is really a blast from the past – I finished it over two years ago!! 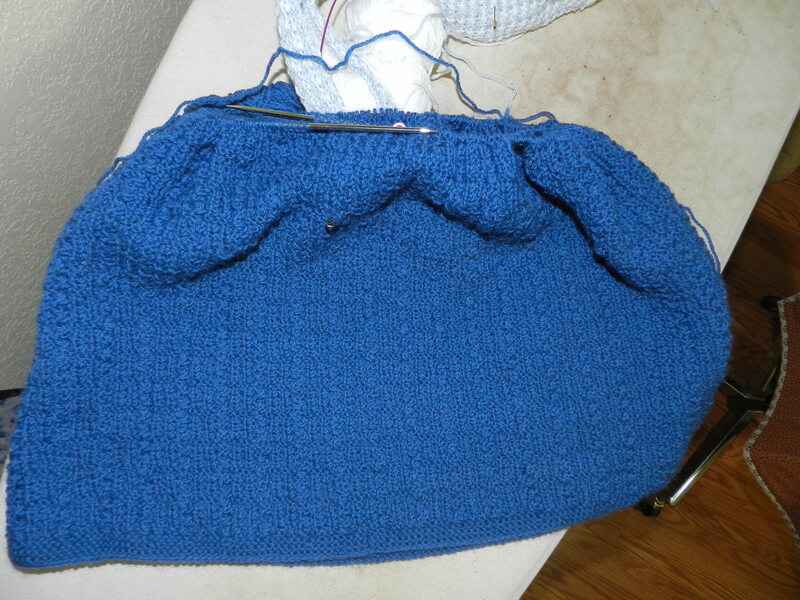 The picture does not do it justice – look on my project page for a better depiction of the color. 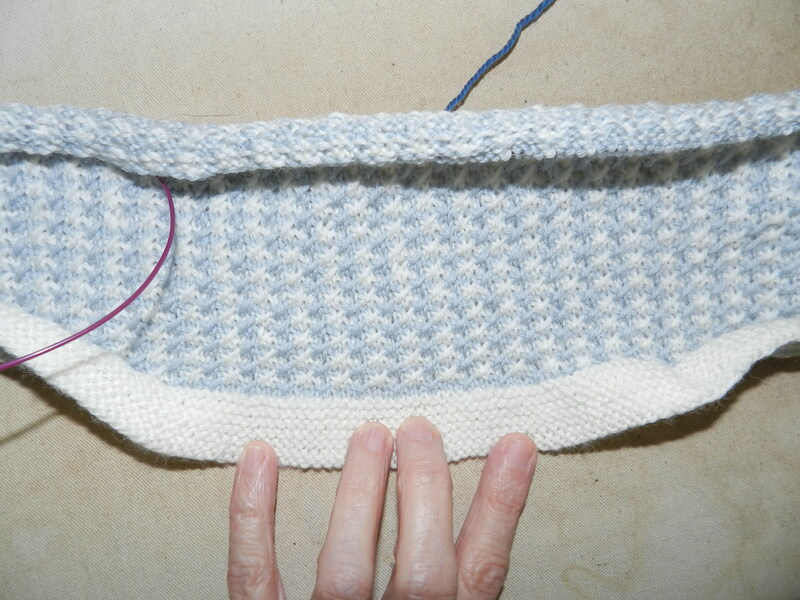 It was a really enjoyable knit, but I think I put off blocking it because I'm not sure whether or not I'll wear it. I admire people who can wear scarves with panache. I just don't seem to be one of them. Some mystery knitting is going on that I can't really show until after Christmas, so until then I'll have to come up with other things to blog about. I can always resort to showing more photos from our photo session with joeplusjill.com. 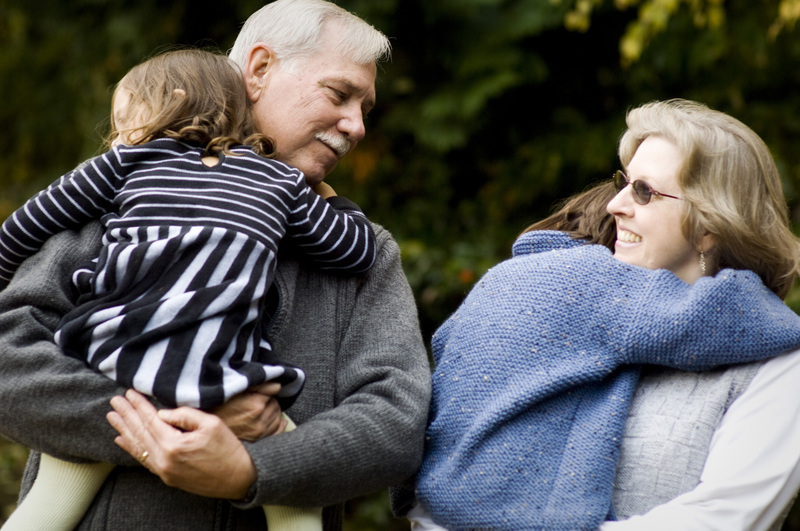 I really can't say enough about how these photos capture our family's personalities. If you live anywhere in the Seattle area I highly recommend them!